We invite you to contact us today to discuss your pet's care. Please don't hesitate to call us at (714) 979-7387. Our hospital is located in the VONS Shopping Plaza, directly behind Bank of America. South Coast Pet Hospital is a full service animal hospital that provides affordable and compassionate care. In addition to dogs and cats, we have a special interest in the care of exotic pets including small mammals, birds, and reptiles. Our goal is to become a life-long committed partner in your pet’s health care. We provide routine preventative care, early disease detection, and complete medical and surgical treatment. Our clinic includes a well-stocked medicine dispensary, surgery suite, digital x-ray, ultrasound, and in-house laboratory. We also work with a network of referral hospitals for pets that need advanced diagnostic procedures and care. Our location near the South Coast Plaza Mall makes it an easy commute for the communities of Santa Ana, Costa Mesa, Newport Beach, Fountain Valley, and Huntington Beach. Please call us at (714) 979-7387 or email us at info@southcoastpethospital.com to schedule your next visit. 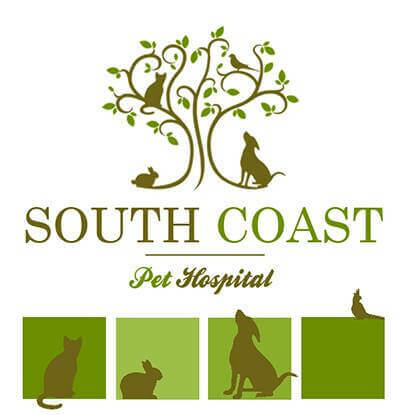 The team at South Coast Pet Hospital is comprised of highly trained and experienced animal health professionals who have a genuine love for working with pets. Our staff treats every patient with the highest quality of medical care as well as a gentle touch. We believe the best way to promote overall health is through preventative care. Regular checkups allow us to establish a baseline in your pets' health and make us aware of any changes that may indicate future problems. We have a total of (6) dogs and they are all patients of Dr. Kummar and Dr. A. They are kind, patient and are always willing to go above and beyond for their clients. Their pricing is also very fair. I highly recommend SCPH. I have two bunnies for 2 years, we always bring them to this hospital for exams, teeth trim. They are very friendly and helpful! Prices are also affordable. We were displaced from our home and I had to board my cat here for almost a month. It broke my heart but everyone at the hospital made me feel so much better. They snuggled with him every day and gave him lots of love. I would definitely board my cat here again! Dr. Kumar is a great vet!!! She has been taking care of our bunnies for many years and we are extremely thankful for her care. Not only does she treat the animals well but she also cares human beings. Her staff is also very friendly and helpful. If you have bunnies, you should go to Dr. Kumar. She is the best bunny doctor.